ESET Smart Security 9 is the only security solution with 100% protection, say the results of the first Home Anti-Malware Protection test by SE Labs. In their first Home Anti-Malware Protection test, SE Labs tested eight leading consumer security solutions for three main criteria: protection accuracy, legitimate accuracy and total accuracy. In all categories ESET Smart Security 9 achieved the highest possible score – 100 percent. 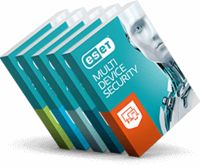 “At ESET we are dedicated in our work to make products that protect millions of users around the world. It's nice to see tests out there validate the multi-layered approach we have been building over the last two decades,” said Palo Luka, Chief Technology Officer at ESET. According to the report, ESET Smart Security 9 stands out as the one product that blocked every threat. “ESET Smart Security handled the targeted attacks and public web-based threats perfectly, which is an unusually good result. It is rare in real-world threat testing for an uncompromised product offering complete protection to also manage legitimate applications and websites without a single error," explains Simon Edwards, SE Labs' founder and Director. More information about the test and the methodology in detail can be found in the test report. Since 1987, ESET® has been developing award-winning antivirus software that now helps over 100 million users to Enjoy Safer Technology. Its broad security product portfolio covers all popular platforms and provides businesses and consumers around the world with the perfect balance of performance and proactive protection. The company has a global sales network covering 180 countries, and regional offices in Bratislava, San Diego, Singapore and Buenos Aires. For more information visit www.eset.com or follow us on LinkedIn, Facebook and Twitter.